The Reserve Bank of Australia (RBA) has made its first cash rate announcement of 2019, at a time when most of the industry is still concerned with the fallout from the Royal Commission report. To no surprise, the rate has remained on hold at 1.50%, where it has stayed since August 2016. While RBA governor Philip Lowe has said the next rate move will be a hike, some experts are beginning to expect a rate cut could be the way forward. CoreLogic head of research Tim Lawless said of today's decision, "The hold decision was widely anticipated, considering a subtle uplift in CPI and steady labour market conditions, however financial markets are increasingly leaning towards the next move from the RBA being a cut rather than a hike. "With CoreLogic’s January hedonic index revealing national dwelling values are falling at the fastest rate since the GFC, while Sydney and Melbourne’s rate of decline is now the most rapid since at least the early 1980’s, there is the potential the RBA may be becoming less comfortable with the performance of the housing sector. Add to this a consistent downtrend in dwelling approvals, weakening consumer sentiment and softer retail trade figures, and it looks like the household sector could start to weigh down economic growth. "The weeks preceding the RBA meeting saw several smaller lenders pushing mortgage rates higher in response to persistently high funding costs, following an average 14 basis point rise in owner occupier mortgage rates since September last year. If we see mortgage rates rising more broadly, we might see the RBA become more willing to consider a rate cut in an effort to offset higher funding costs and support heavily indebted household balance sheets." John Kolenda, managing director of Finsure, said there was a likelihood of a post-election rate cut. He said, “There is increasing pressure on the RBA to lower rates, particularly when you weigh up all the negative factors which includes the coming federal election, the response to the final report of the Hayne Royal Commission, the falling property market and external matters such as the US-China trade war and Brexit. In his commentary around the rate decision, Lowe said, "The housing markets in Sydney and Melbourne are going through a period of adjustment, after an earlier large run-up in prices. Conditions have weakened further in both markets and rent inflation remains low. Credit conditions for some borrowers are tighter than they have been. At the same time, the demand for credit by investors in the housing market has slowed noticeably as the dynamics of the housing market have changed. Growth in credit extended to owner-occupiers has eased to an annualised pace of 5½ per cent. 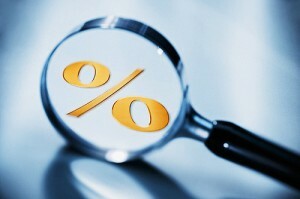 Mortgage rates remain low and there is strong competition for borrowers of high credit quality."